The AirFit F10's sleek and lightweight design gives users a clear line of sight so they can wear glasses and watch TV or read while wearing the mask. The mask dual-wall Spring Air cushion provides a secure seal for better performance and its four-part design makes it easy to take apart, clean, and reassemble. The parts kit is the F10 headgear and the F10 frame with cushion packaged separately. 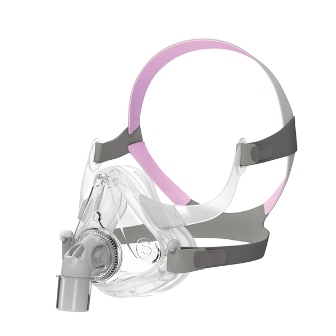 If you choose this option you do not need a prescription but you will need to assemble the mask yourself. Printed users manual with the complete mask. We are only authorized to sell and ship ResMed products to end-users residing in the United States. All services provided by BestCPAPprice.com, including advertisement, ordering, sale, delivery, instruction, and setup of the products are performed solely by BestCPAPprice.com, and independently of ResMed. 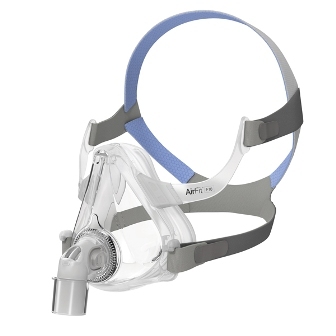 ResMed Mirage Quattro™ Air and AirFit™ F10 Full Face Mask replacement cushion.